As I continue to post the highlights of the cake show, I’ll start with another from the kids’ category. This was an odd cake, but I’ve got to say it demonstrated a good bit of skill. 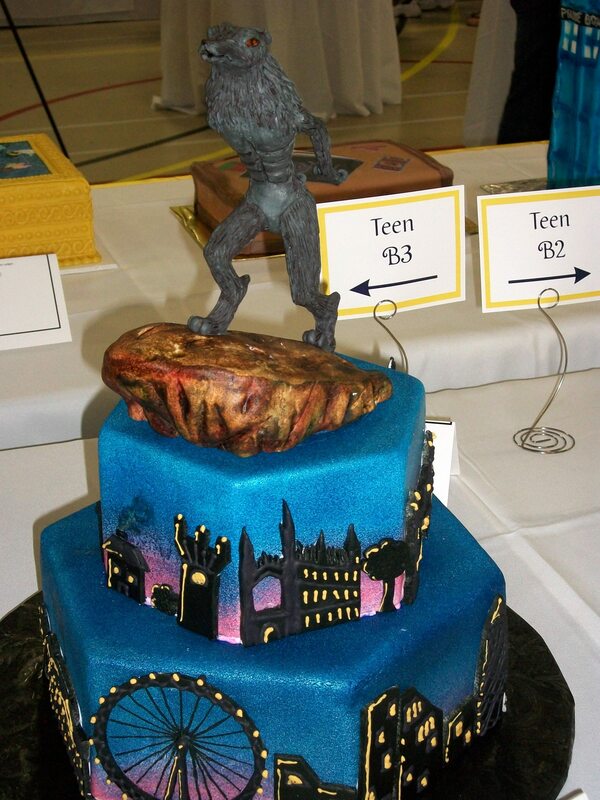 I could never in a million years sculpt a werewolf like that for my cake. I just thought that this cake raises an interesting paradox; it wouldn’t seem as if a teen interested in sculpting werewolves would necessarily be interested in cake decorating. 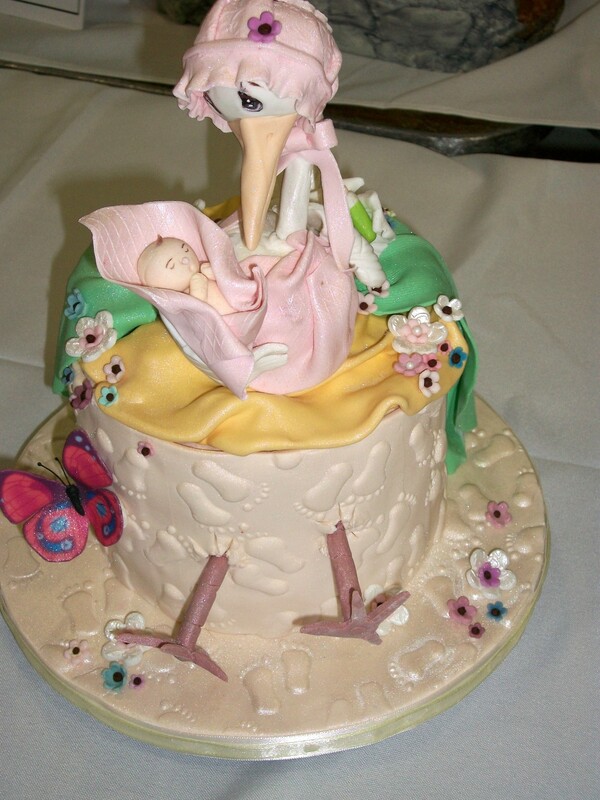 Another cake off the beaten path was baby related. My friend Kristy and I love the blog Cake Wrecks. It’s one of those sites that could potentially have me crying because I’m laughing so hard, and the blog proves that some baby cakes go over the top. As a matter of fact, the blog does a great job pointing out how awkward it is to eat a baby. So, this baby cake that we saw definitely wasn’t as awkward, but I’m still not sure how I feel about it. 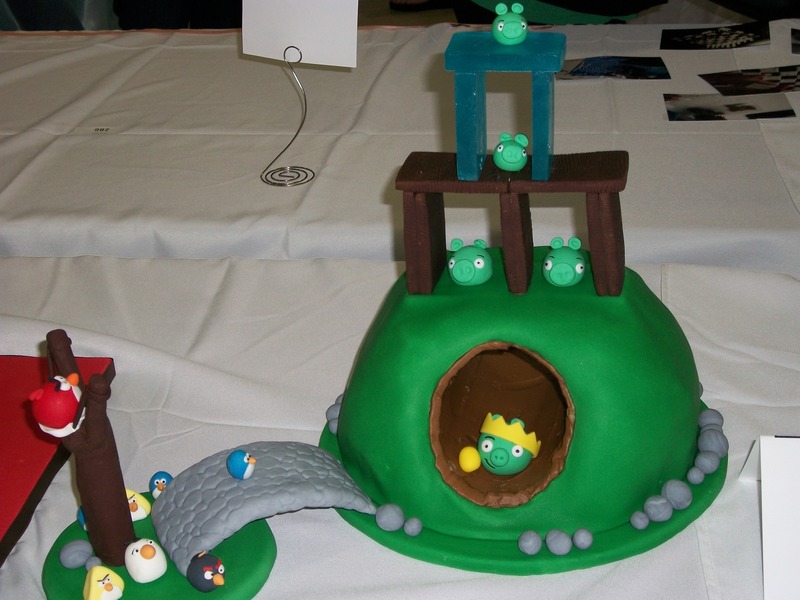 Honestly, if asked to make a cake for a baby shower, I’d prefer to stick to blocks, rocking horses, or rubber ducks. While we’re off the beaten path, here are some of the other cakes. Sorry that the picture for this next one isn’t great, but I still can’t get over the fact that the cake was still standing. I think it must have been at least 4 feet tall. And, while we’re in the Wizard of Oz vein, here’s another cake. 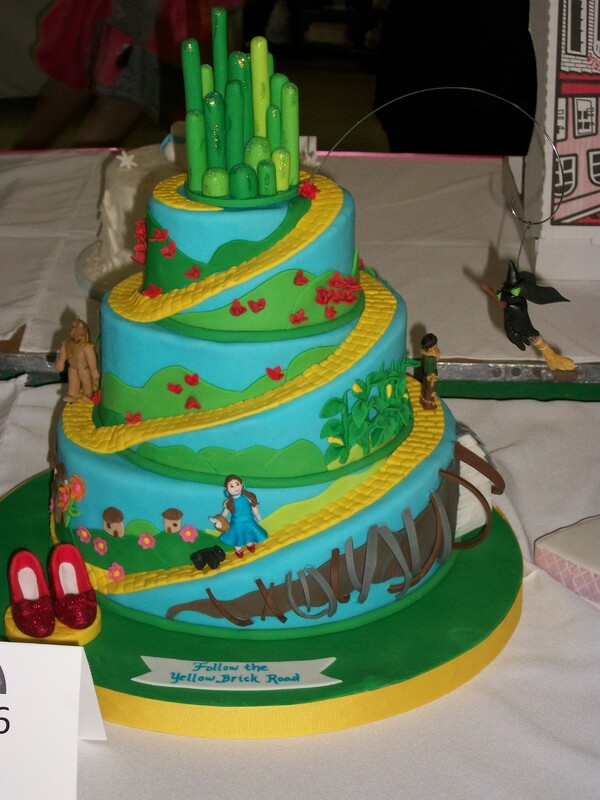 Since the decorator had to actually carve into each layer of the cake to make room for the yellow brick road, I was impressed. 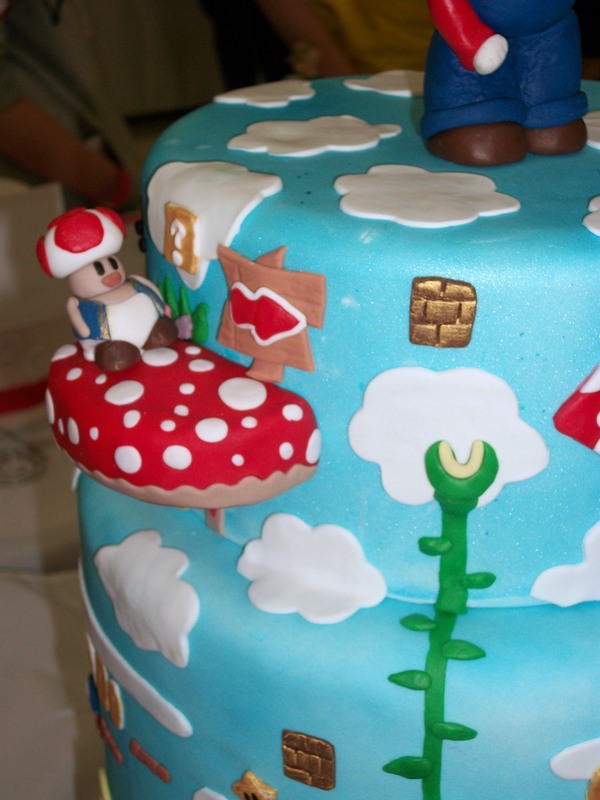 Then, there were some great video game based cakes. Angry Birds, anyone? Or, how about some Super Mario Brothers? The detail on this cake was astounding. I really wanted to know how long the decorator worked on it. 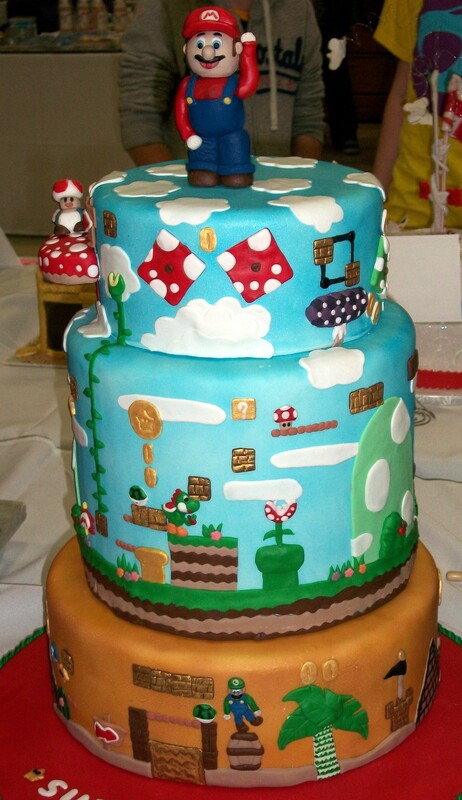 I’m pretty sure I would have a better chance of playing through all 8 levels of the game and saving the princess than I would turning out a cake that looks like this.